Craters differ from calderas both in size and origin. Craters are much smaller features than calderas and are typically defined as being less than 1 km in diameter. 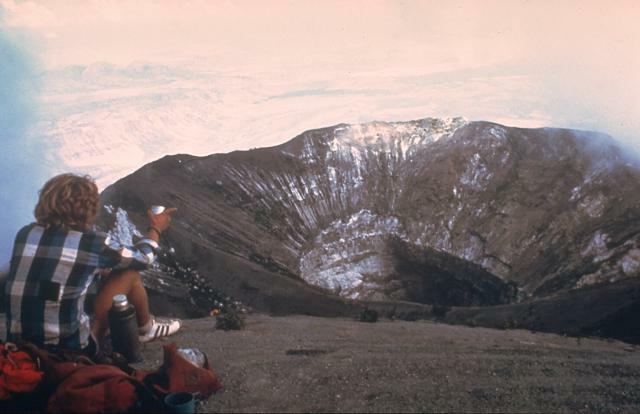 Although both craters and calderas are most often associated with explosive eruptions, craters are typically formed by the explosive ejection of material in and surrounding the upper part of the conduit, rather than by collapse. Steep-walled pit craters, in contrast, often found on shield volcanoes, are more passive features formed when magma drains from a fissure, leaving overlying lava flows unsupported. 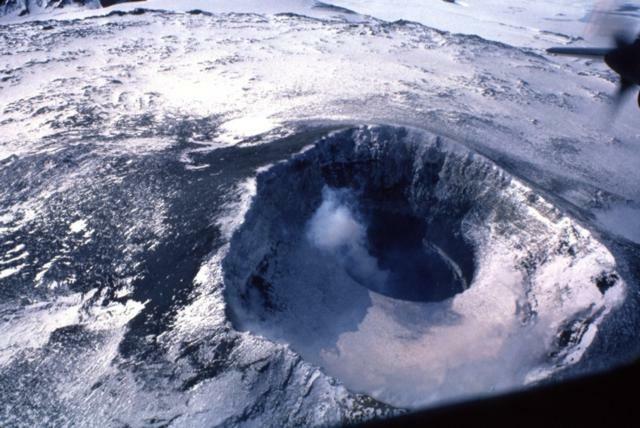 Multiple explosive eruptions can form overlapping or nested craters, and adjacent craters may reflect localized areas of eruption along fissures, as seen in craters rows in Iceland that extend for tens of kilometers. Maars and tuff rings are broad, low-rimmed craters formed during powerful explosive eruptions involving magma-water interaction. The accumulation of material ejected from craters contributes to the formation of their surrounding rims. 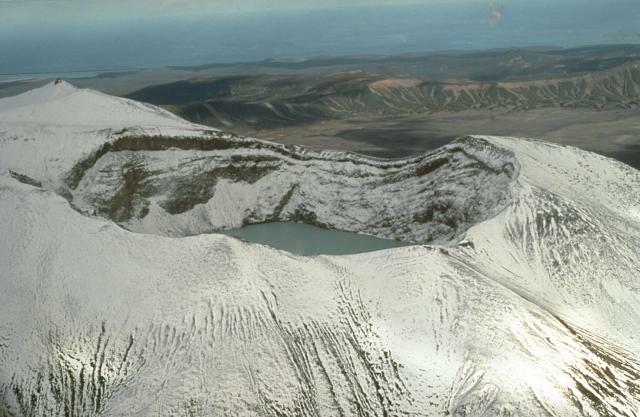 The northern crater of Ol Doinyo Lengai is seen here in February 1980 from the summit of the volcano. 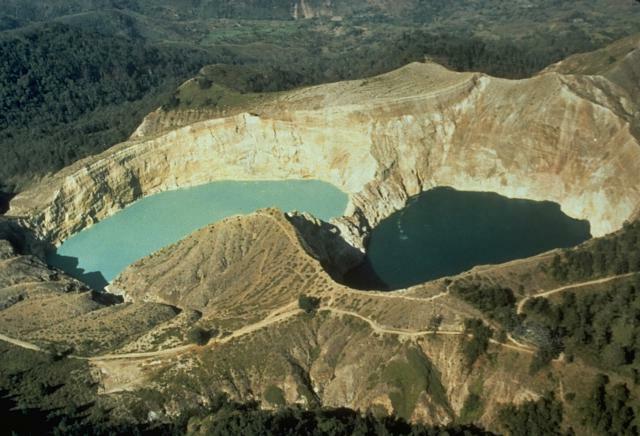 The inner crater is a steep-walled pit that remained after the powerful explosive eruptions of 1966 and 1967. 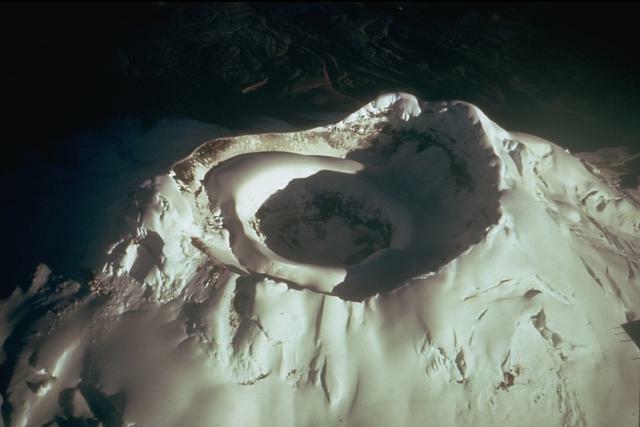 Three years after this photo was taken, another eruption began. Slow lava effusion completely filled in the inner crater. 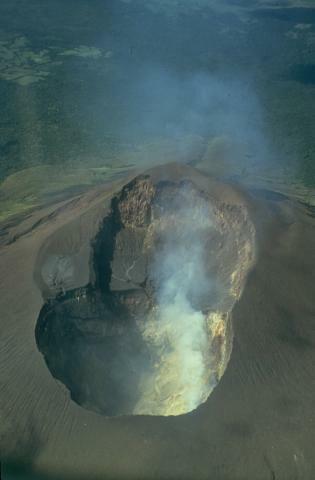 By December 1988, lava had overflowed the near southern crater rim, at the lower center of the photo. Photo by Peterson, 1980 (courtesy of Celia Nyamweru, Kenyatta University). 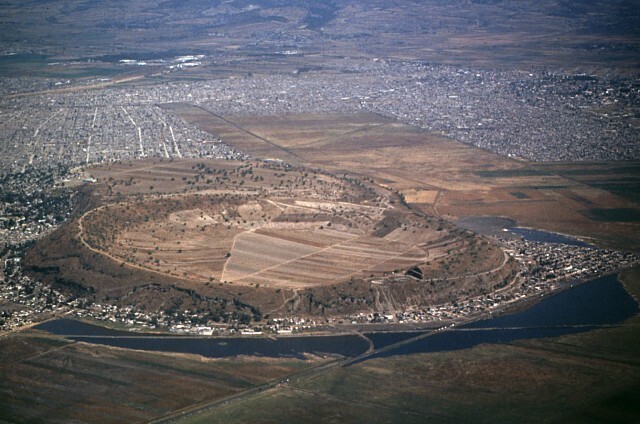 Xico is a low circular tuff ring within Mexico City that is part of the Chichinautzin volcanic field. It is seen here in an aerial view from the south. This volcano was formed by phreatomagmatic eruptions through the middle of Lake Chalco, whose remains can be seen surrounding the tuff ring. Chalco and Lakes Texcoco and Xochimilco were formed when lavas from the Chichinautzin volcanic field blocked river drainages to the south. The lakes were largely drained during the 16th and 17th centuries following the Spanish conquest. Photo by Hugo Delgado, 1994 (Universidad Nacional Autónoma de México). 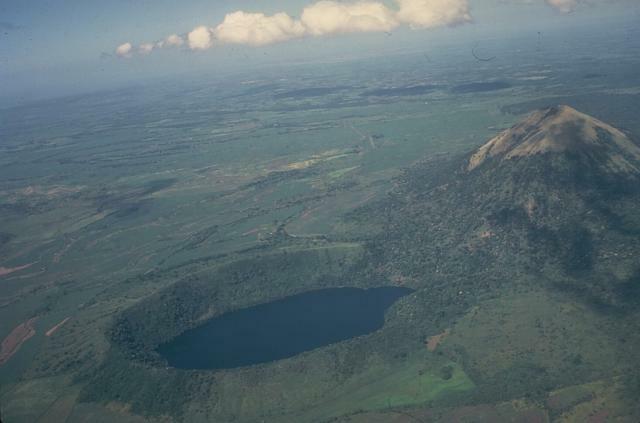 Lake-filled Laguna de Asososca maar, in the foreground, and the conical Cerro Asososca at the upper right were formed by eruptions at the southern end of a N-S fissure system of Las Pilas volcanic complex in Nicaragua. The ages of these vents are not known. This view looks from the NE across the broad plain at the foot of the Marrabios Range to the Pacific Ocean in the distance.